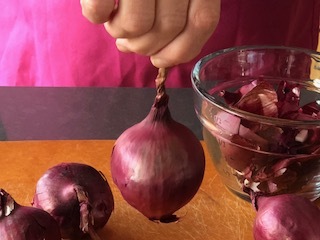 Onions can be so darn healthy, as long as you choose and use them wisely, but they can also be so darn hard to peel. Sometimes you struggle so much that you end up removing layers of healthy quercetin. Struggle no more. Check out Plantastic Kitchen®’s easy way to conquer a trying task.